I woke up feeling like it was gonna be a good day. For it is payday and my day off. So like most days off, it started off with a visit to the gym and a nearby ramen shop. Nejishiki (ねじ式) in Hatagaya, just steps from Hototogisu, is a new shop barely even two months old. The shop is run by Kenji Ota, but when it gets crazy he calls upon his army of little masked men. There are 3 options: Ramen, Tsukemen, and a junk-style Mazesoba (hear that Brian). And with toppings like garlic butter or cheese mayo, things can get very interesting. I decided to keep it simple and opted for the 特Ramen. Woah! Heavily marinated ground pork. The noodles are fat and take long to cook, but it's worth the wait. 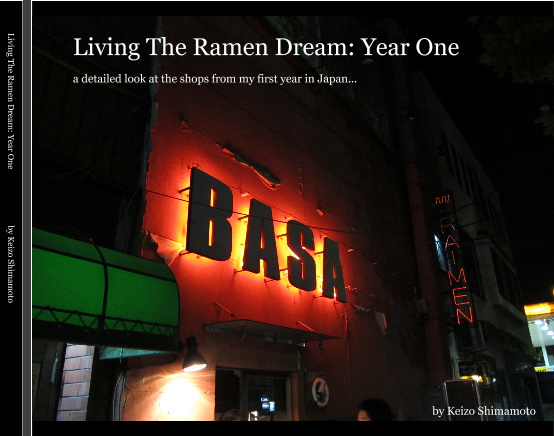 So I had this idea of putting all the ramen shops I've slurped at during year one into a photo book. Would you buy a copy? I originally wanted to have it finished by christmas, but we'll see. Then of course it was time for dinner at Bassanova. Where some crazy (but awesome) regulars started buying me drinks. And we had a blast just messing around. You should totally pitch this book idea. It would make a great coffee table sort of deal. You already have all the pictures and reviews! I would definitely buy it. "Would you buy a copy?" Depends on the production: If it just pictures thrown into one of the crappy photobook templates that come with iPhoto and the like: No. But if it's like an english version of すごいラーメン i would likely want to get it IF it provides info exceeding what's available online. I mean: If I just get exactly the same thing I can get on supleks-- why would I spend money for that? The little army of men is from Kamen Rider. I have been reading your blog for a while now. I check almost everyday for a new update, and enjoy all the pics as well. I'd definitely buy a copy of the book.